Modern classrooms look very different from the traditional ones of yesteryear, thanks in large part to the evolution of the inclusive classroom. An outgrowth of the special education movement, inclusion practices dramatically changed the classroom landscape. Previously, student segregation according to ability levels, behaviors or physical limitations used to be the norm. Eventually, laws passed that recognized the rights of all students to learn in mainstreamed environments with their peers. Now, thanks to the Individuals with Disabilities Education Act (IDEA), the Americans with Disabilities Act (ADA) and Section 504, students enjoy increased learning opportunities in the same environments as their peers. The criteria for student segregation was often based on perceived disability levels. Separate day schools housed the most severely disabled while those with milder disabilities often received few services and lagged behind in regular classrooms. The new laws addressed these issues. Students were assessed according to standardized protocols, and Individual Education Plans were written to provide remedial services and appropriate learning accommodations. Those with milder disabilities often remained in regular classes while receiving remedial help through individual or small group services. However, those with severe and profound disabilities still found themselves segregated from their peers in self-contained classes. Eventually, educational professionals realized that segregating children from their peers was a form of discrimination and the concept of mainstreaming children into age-appropriate classroom settings began to take hold. Early mainstreaming did not fully address all inclusive needs of learners. Initially, students with moderate or severe disabilities were mostly mainstreamed into electives, like music or PE, while remaining outside of the regular classroom for general instruction. Gradually, these practices changed, and exceptional students were allowed access to regular classroom environments and the same types of classroom instruction as their peers. Additionally, teachers learned how to create lessons and activities for students at multiple ability levels. Classrooms became learner-friendly, with centers, groups and technological tools to engage learners through instruction and materials that accommodated different learning styles, social constructs and multiple intelligences. Interactive, where teachers take turns presenting and reviewing material. Parallel, where teaches instruct the same lesson at the same time to groups based on ability levels or to mixed-ability groups. Alternative, where one teacher does small group instruction while the other monitors and reinforces the remaining students in seat work or related activities. Station, where concepts are reinforced at various centers that students circulate through for remediation, review or practice. 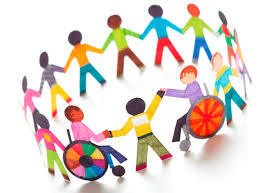 Today’s teachers employ inclusion principles throughout their day. They have learned to structure their lessons and differentiate materials so that all students can access age-appropriate material. This universal design of instruction allows instructors to consider the variety of ways in which information can be presented to reach all learners. In these ways, the inclusive classroom has evolved to help all students achieve regardless of their learning differences.